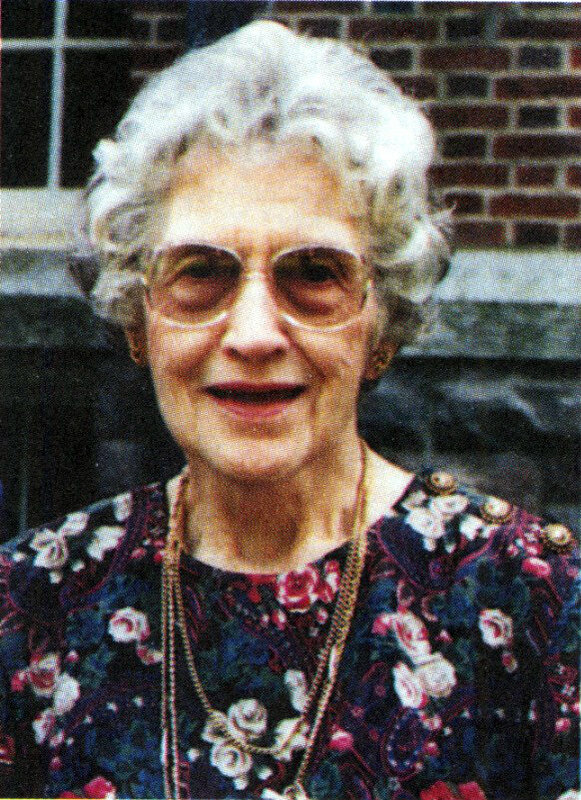 Evelyn Adair Busch died on August 19, 2000 at the age of eighty-eight. She had out-lived two husbands, both of whom were Orthodox Presbyterian ministers. In 1937 she married Dean W. Adair who had been a constituting member of the first General Assembly of the PCA/OPC the previous year. Together they served congregations in Maine, South Dakota and Wisconsin until his early death in 1947. With her two young children, Evelyn soon returned to Maine. In 1957 she married Calvin A. Busch, the pastor of Second Parish Church in Portland. Each of them had suffered the tragic loss of a spouse, each had two children, and both knew what it meant to serve the people of God. The new family made their home in the historic mansion at 38 McCullough Avenue in Morristown, New Jersey. In addition to their own children, the Busches added one more. Elizabeth Price, widow of the previous pastor at Emmanuel, cared for a foster child. Following her death, Evelyn and Cal took him into their home. He and Mr. Busch’s younger daughter, both of whom had special needs, remained in the care of Evelyn Busch for many years. Their house also served as the meeting place of Emmanuel Orthodox Presbyterian Church. Mr. Busch served as their pastor for the next twenty years. The rambling old house had large rooms for worship and fellowship on the first floor and plenty of room for the family and frequent guests upstairs. On Sundays, even the bedrooms were in use for Sunday school classes. It was routine for everyone to be invited upstairs for refreshments around the big dining room table after evening worship. Evelyn, in fact, kept house and baked for the entire church family. Although she never learned to drive, Evelyn regularly ministered to others outside her home. Usually undemanding, she would be very direct with her husband about where she needed to go. He might drive her, then take a book and sit in another room while she spent the morning teaching a new bride how to sew. Each week he drove her to Greystone Psychiatric Hospital where they picked up two or three ladies for an afternoon out. Evelyn Busch is remembered as a quiet, strong woman who served her family and God’s people with great competence and dignity. Written by Mary Jo Miller, a member of the New Jersey congregation where Evelyn was a pastor’s wife.